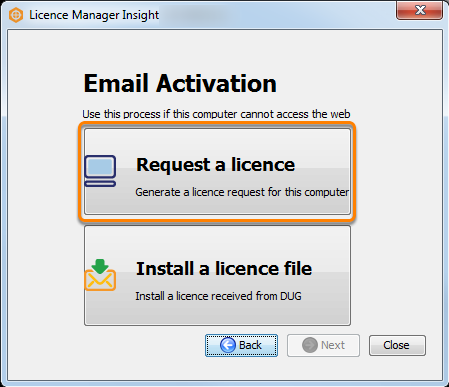 You can choose to activate the Insight licence via email. This option is useful if you do not have direct Internet access on the computer you wish to license. For more details on the types of licences, see Online Activation. 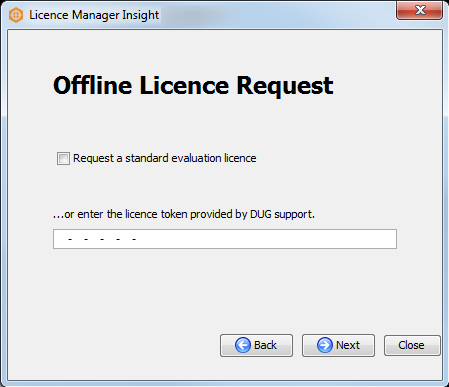 If this is your first time, or if your licence has expired and you are unable to launch Insight, attempting to launch Insight from the Launcher will display the window above. To activate a licence token, click on Click here or Cancel to open the Licence Manager. Launch Insight (see Launching Insight). 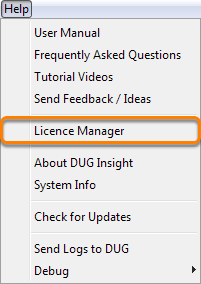 In the Control Panel, go to the Help menu and select Licence Manager. 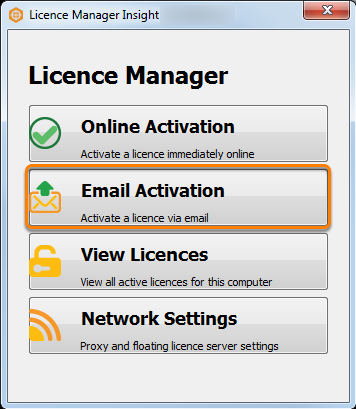 In the Licence Manager, click Email Activation to activate your licence via email. Select the Request a standard evaluation licence check box if you want to request for a 30-day evaluation licence. You can skip this step if you have already obtained the trial activation code (see Obtaining an Evaluation Licence) or you are activating a purchased licence. Type or paste the 22-character token code that you have received with your purchase/evaluation request to generate a licence request. Read the message and click OK to close. In reply, you will receive an email with an attached licence file. Save the file to your computer. 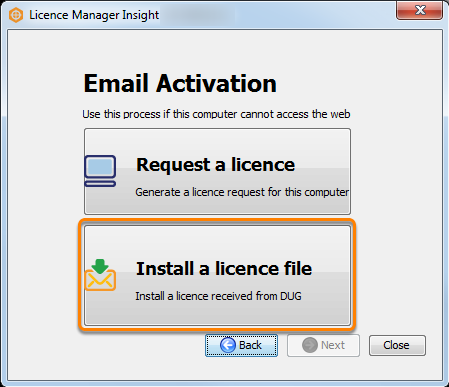 After receiving the licence file, open the Licence Manager. Click Install a licence file. Select the licence file that you have saved in your computer. Click Next to activate your licence. Upon successful activation, it will display your active licence(s) in a list. Click Close to exit the Licence Manager.